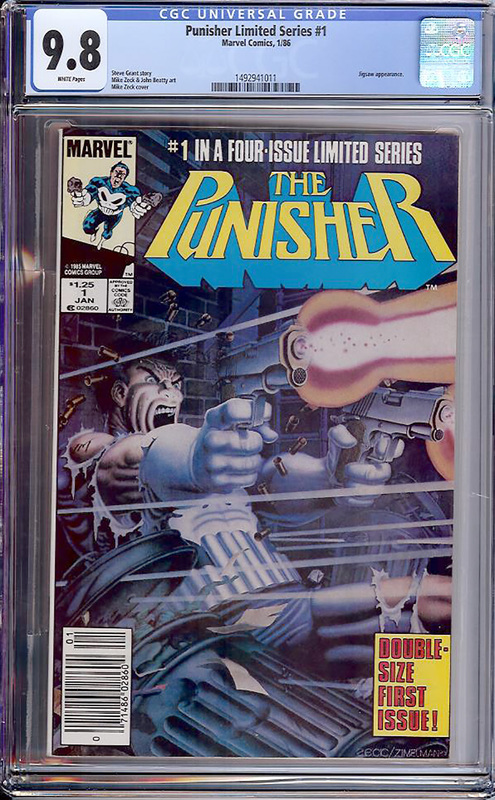 Highest graded and finest known example at 9.8 and white pages, and this is the Newsstand version! Best Punisher cover of all time. Mike Zeck redefined this ever-popular vigilante. Awesome story!